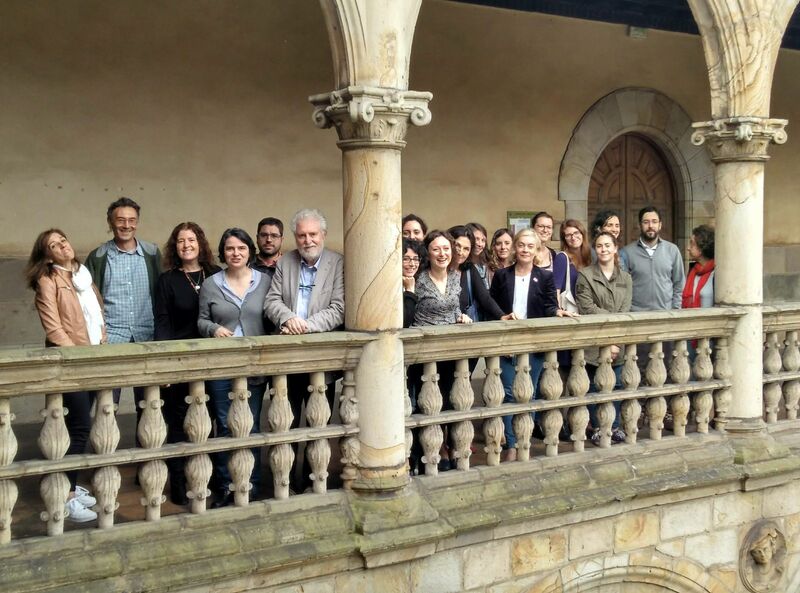 The time has come for me to leave the scientific directorship of the Oñati Institute, on August 31, next. Two years elapse in the blink of an eye and it is not easy to have a clear perception of the outcomes of the work one performs in such short time. It will be the task of my successor, prof. Noé Cornago, and the incoming Board of Directors, to evaluate it. From 25 May onwards, every person who gets involved in activities arranged by the Institute will be requested to authorise us to collect some personal data such as their full name and a contact address, and they will also be offered the chance to subscribe to our newsletter and other mailings related to our activities. If anybody you know is interested in hearing from us, and would like to subscribe to our mailing service, he/she can fill in our online form here. If you have any doubts or questions regarding the treatment of your personal data or if you want to execute your rights, please contact legal@iisj.es. Thank you to all who have renewed your trust and commitment with us! Remember you can also attend single courses of the programme. 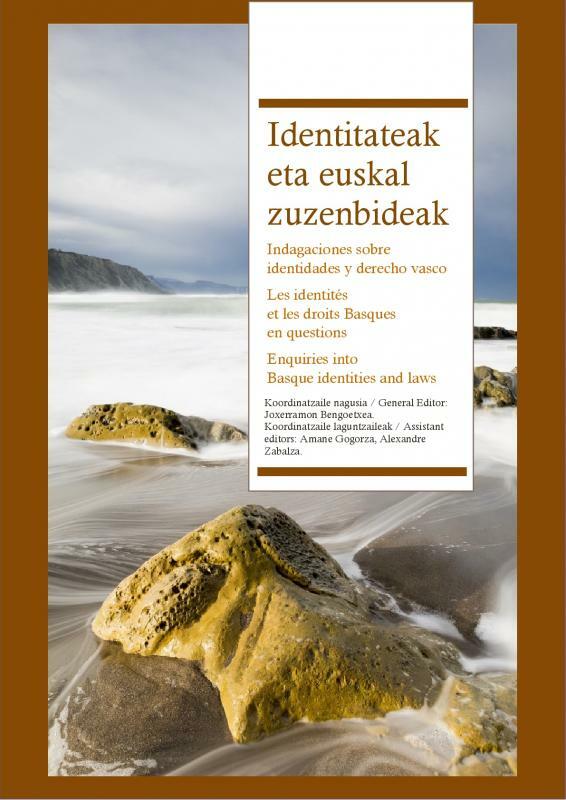 The Institute has published the e-book Identitateak eta euskal zuzenbideak. Indagaciones sobre identidades y derecho vasco. Les identités et les droits Basques en questions. 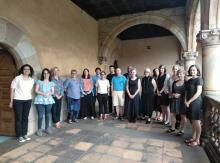 Enquiries into Basque identities and laws. It has been edited by Joxerramon Bengoetxea (EHU/UPV), assisted by Amane Gogorza (University of Toulouse) and Alexandre Zabalza (University of Bordeaux). It is a compilation of essays by 14 authors, most of which have edited and updated their work for the occasion. 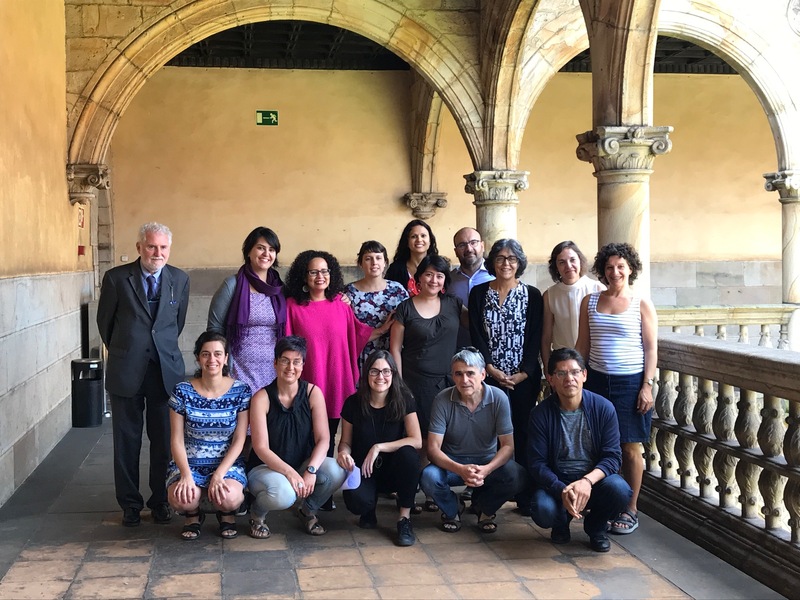 The essays have been published in the language they were originally written: Basque, Spanish, French, or English, as the editors "truly" believe in the "coexistence of identities and languages". The ebook is a result of the collaboration between the Institut de Sciences Criminelles et de la Justice (University of Bordeaux), ehuGune (University of the Basque Country), and the IISL. It has been published under a Creative Commons BY-NC-ND license and is available for download on the IISL website. March-June 2018. - Issue edited by Sarah Turnbull (Birkbeck, University of London, UK), Joane Martel (Université Laval, Québec City, Canada), Debra Parkes (University of British Columbia, Vancouver, Canada) and Dawn Moore (Carleton University, Ottawa, Canada). 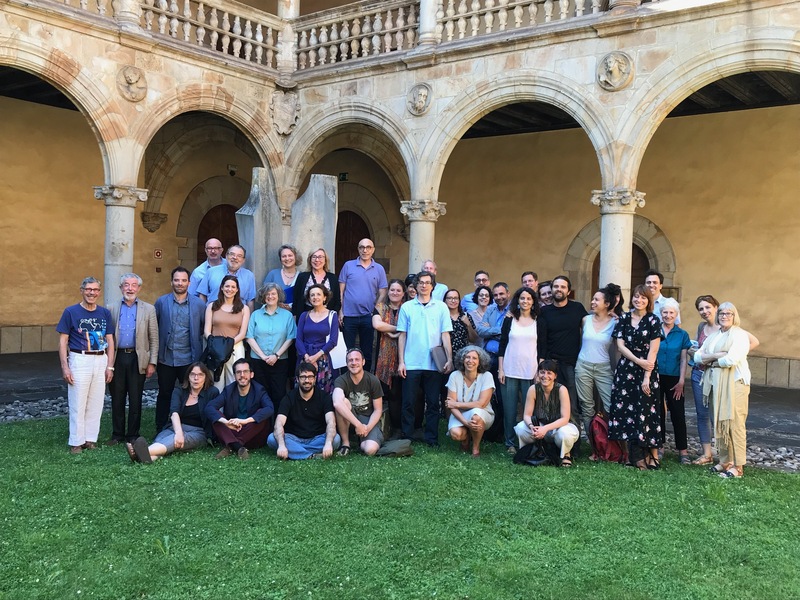 Annamaria Rufino, Antonio Carlos Wolkmer, Caio Santiago Fernandes Santos, Cecilia Hopp, Chiara Scivoletto, Eduardo Díaz Velazquez, Iñaki Ansoategui Fernández de Arroyabide, Jacek Kurczewski, Jernej Letnar Cernic, Johannes Feest, Juan S. Pegoraro, Letizia Mancini, Lorenzo Chieffi, Lorenzo Scillitani, Lynn Mather, Paolo Iagulli, Pedro Caeiro, Roberto Morales, Ruth Mestre i Mestre, Simonetta Balboni Ghezzi, Stephan Parmentier, Verena Zoppei, Vincenzo Ferrari. Chairs: Jernej Letnar Černič (Graduate School of Government and European Studies), Matej Avbelj (Graduate School of Government and European Studies). Chairs: Mavis Maclean (University of Oxford), Bregje Dijksterhuis (Vrije Universiteit Amsterdam). Chairs: Kay-Wah Chan (Macquarie University), Judith McMorrow (Boston College Law School), Sida Liu (University of Toronto). Chairs: Kathy Mack (Flinders University), Sharyn Roach Anleu (Flinders University), Terry Maroney (Vanderbilt University), Stina Bergman Blix (Uppsala University). 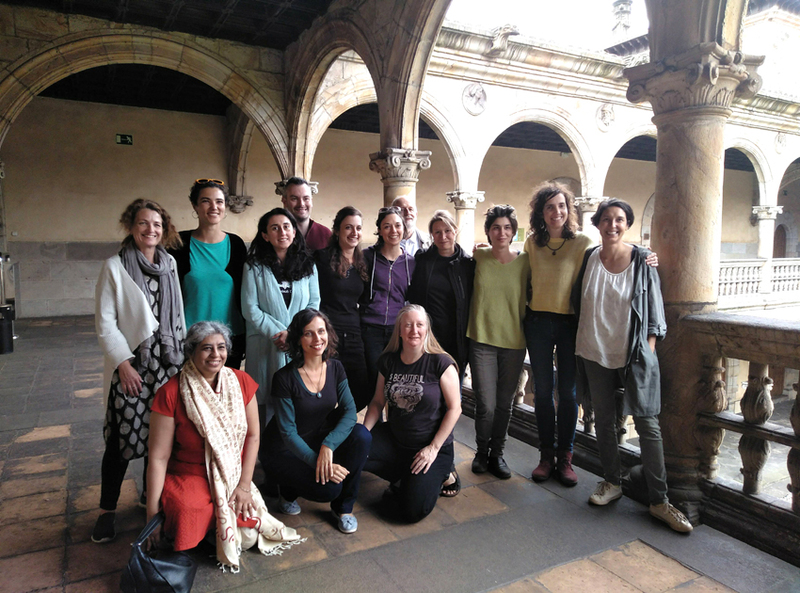 "The staff in the institute supported the Bilkura in any way like with the arrangement of transportation, accommodation, food etc., which provided us with optimal conditions for a fruitful meeting. There is an excellent atmosphere in the institute and the library, which invites to intellectual and creative thinking. The hospitality and the readiness to support was terrific." Chairs: Martin J.M. Hoondert (Tilburg University), Gema Varona Martínez (Basque Institute of Criminology). Chairs: Deborah Brock (York University), Carmela Murdocca (York University). Chairs: Said Arjomand (Stony Brook Institute for Global Studies), Nathan J. Brown (Institute of Middle East Studies). 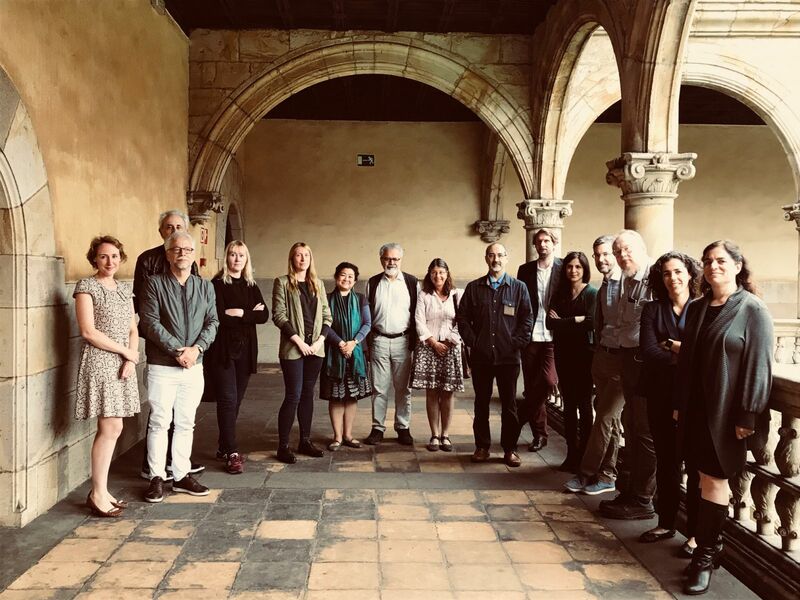 "... participants (...) discussed research on Middle Eastern legal systems, seeking to integrate insights from more historical and area studies based approaches with those that are more social-scientific in approach. 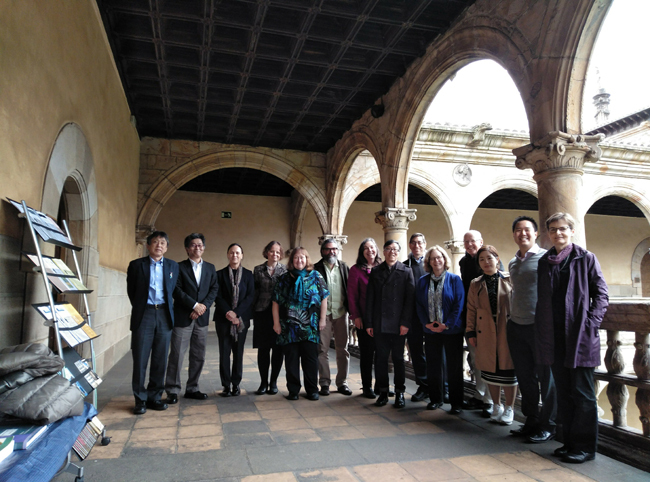 The workshop, led by Saïd Arjomand of Stony Brook University and Nathan Brown of George Washington University, discussed four general themes." 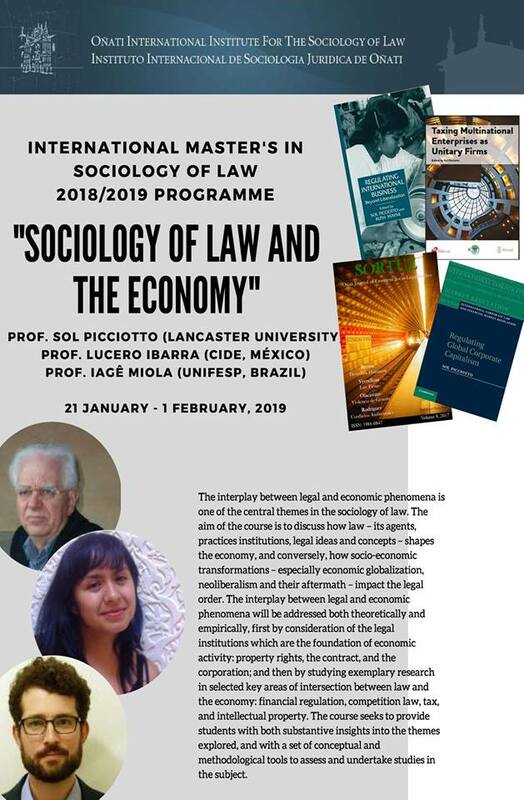 Chairs: Susanne Karstedt (School of Criminology and Criminal Justice), Darío Páez (University of the Basque Country), Bernard Rimé (University of Louvain). Chairs: Dolores Morondo Taramundi, Encarnación La Spina, Cristina de la Cruz Ayuso (Pedro Arrupe Human Rights Institute, Universidad de Deusto). 14-15 Jun: The fourth wave of feminism: from sisterhood and social networking towards a new citizenship? Chairs: Caterina Peroni (University of Padua), Lidka Rodak (University of Silesia). Chairs: Linda Steele (University of Technology Sydney), Penelope Weller (University, Melbourne Australia), Claire Spivakovsky (Monash University). 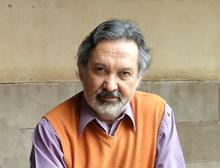 Chairs: Cecilia Montes (Universidad de la República-Uruguay y Universidad Autónoma de Barcelona), Encarna Bodelón (Universidad Autónoma de Barcelona), Laura López (Universidad de la República-Uruguay). 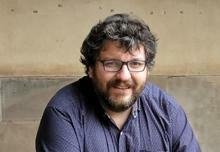 "El carácter original de la propuesta se relacionó con la posibilidad de debatir de forma conjunta las diferentes experiencias en justicia penal juvenil de los distintos contextos geográficos, así como también visibilizar las particularidades de las adolescentes mujeres en los sistemas penales." "The 2018 Law & Society meeting held at the Toronto Sheraton must have been one of the largest meetings of the association. It was an extremely well organized, massive conference with enriching panels throughout. However, one can get lost in the shear numbers of panels and bodies. I found myself circulating through the various hallways, winding up and down the many levels to find the meeting rooms—searching out a new bit of research, a refreshing new twist on method. By the end, hitting maximum conference saturation I was not sure I could meet one more person or discuss one more research topic. 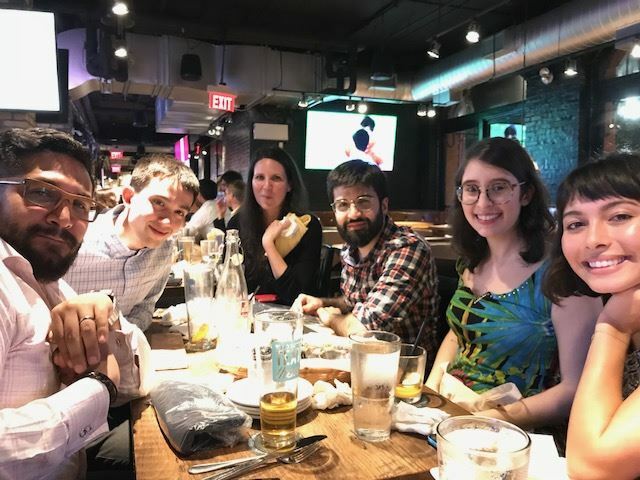 However, there was one dinner I would not miss irrespective of my level of conference fatigue—that was the Oñati gathering." 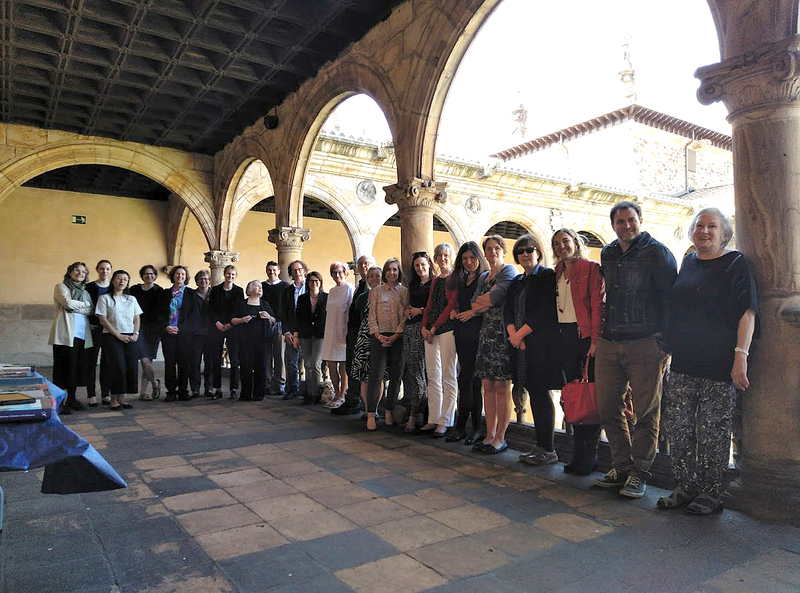 The Oñati Sessions aim to open a new window of interaction between the IISL and the socio-legal community in general.To join the discussion on the organisation of the Oñati Session in RCSL, Law and Citizenship Beyond the States, 10-13 September, Lisbon (Portugal), click here. 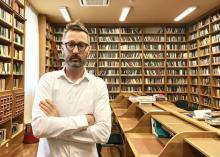 You will find an unique atmosphere to research or write, with the best Library and Documentation Center [+] on Law and Society to make research.